Ray Tatafu makes the break as the defence re-enacts the parting of the red sea. Fabulous play by Tasman has led to Will Jordan being able to wriggle through a gap. James Wilson curls the ball too far, missing the posts to the right. Broc Hooper sets up the try. Incisive passing by Southland is finished off by Rory van Vugt, as he goes over for the try. Trouble here as Rory van Vugt breaches the defence. This is dangerous for the defence as Brenton Howden bursts through to advance the Southland attack. Southland have won 60 rucks so far this game. Tasman decide to make a substitution, with Ryan Coxon getting some game time. Tasman decide to make a substitution, with Wyatt Crockett being replaced. Southland make a substitution with Tony Lamborn coming off. The Southland supporters go wild as James Wilson successfully kicks the conversion. A gap opened in the defence and Maanaki Selby-Rickit took full advantage. James Wilson sets up the try. Silky skills by Southland ends with a try for Maanaki Selby-Rickit. Southland sub Rory van Vugt comes onto the field. Lewis Ormond departs for Southland. The touch judges raise their flags as Mitch Hunt kicks the conversion. The pressure has finally told as Sione Havili Talitui scores from close range. Ben Fotheringham has made 10 good tackles so far this game. Wade McRae has made 10 good tackles so far this game. The defensive line has been broken as Sione Havili Talitui goes through the gap. What a run here by Tima Faingaanuku as they gets over the gainline!. Southland have won 40 rucks so far this game. Tasman decide to make a substitution, with Alex Nankivell getting some game time. Tasman decide to make a substitution, with David Havili being replaced. Tasman make a substitution with Mitch Hunt coming on. Tasman make a substitution with Tim O'Malley coming off. Tasman sub Sione Havili Talitui comes onto the field. Jed Brown departs for Tasman. Tim O'Malley adds the two points for Tasman. Tasman are stopped just a few metres from the try line but Ethan Blackadder picks up from the base of the ruck to score the try. Tasman decide to make a substitution, with Ben Finau getting some game time. Tasman decide to make a substitution, with Jack Grooby being replaced. Quinten Strange makes the break as the defence re-enacts the parting of the red sea. Flynn Thomas has made 10 good tackles so far this game. Trouble here as Tim O'Malley breaches the defence. Tasman make a substitution with Wyatt Crockett coming on. Tasman make a substitution with Ryan Coxon coming off. Tim O'Malley does the business as his conversion attempt goes over. Spellbinding play by Jack Grooby is finished off with a try. Will Jordan scores the try from close range. This is dangerous for the defence as Will Jordan bursts through to advance the Tasman attack. Phil Halder has made 10 good tackles so far this game. A gap opened in the defence and Levi Aumua took full advantage. The defensive line has been broken as Quinten Strange goes through the gap. What a run here by David Havili as they gets over the gainline!. Tim O'Malley makes no mistake with that conversion attempt. Tasman are only a few metres out, surely they must score! And they do with Quinten Strange touching down. What a tackle there by Flynn Thomas as he saves a certain try!. Tima Faingaanuku makes the break as the defence re-enacts the parting of the red sea. Tim O'Malley has hooked the conversion to the right of the posts. Will Jordan played a key part in that try. Fabulous play by Tasman has led to Solomon Alaimalo being able to wriggle through a gap. James Wilson has hooked the conversion to the left of the posts. Trouble here as Flynn Thomas breaches the defence. 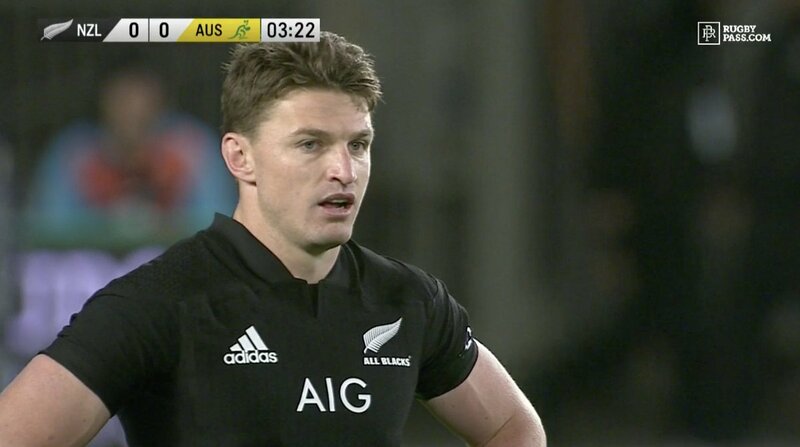 That's a great try assist by James Wilson. A series of passes by Southland results in a try for Flynn Thomas. This is dangerous for the defence as Aleki Morris bursts through to advance the Southland attack. Southland have won 20 rucks so far this game. A gap opened in the defence and Tim O'Malley took full advantage. Southland sub Chris Apoua comes onto the field. Morgan Mitchell departs for Southland. James Wilson converts the try. Phil Halder sets up the try. The defensive line has been broken as Tony Lamborn goes through the gap. Great hands by Southland leads to a try for Tony Lamborn. David Havili comes on for Tasman. Alex Nankivell leaves the field. Tim O'Malley has kicked a conversion. The Tasman pack has powered over for Andrew Makalio to score the try. 35 Kiwis took part in the weekend's northern hemisphere action, including 12 former All Blacks. @cdpierce4 Very sorry to hear this. Thanks for sharing. BREAKING - Gopperth facing a lengthy spell on the sidelines as the full extent of his injury is revealed. RT @benjaminjohn91: Great to be part of this. Such an important documentary to watch regarding head injuries in rugby. @stu1514 @EdinburghRugby @GlasgowWarriors Yes we do! @RugbyARG_ Sure. Can you DM Fred your details please? RT @peterrobinson86: @fiftythreesix @RugbyPass Thank you to you all for putting this together. 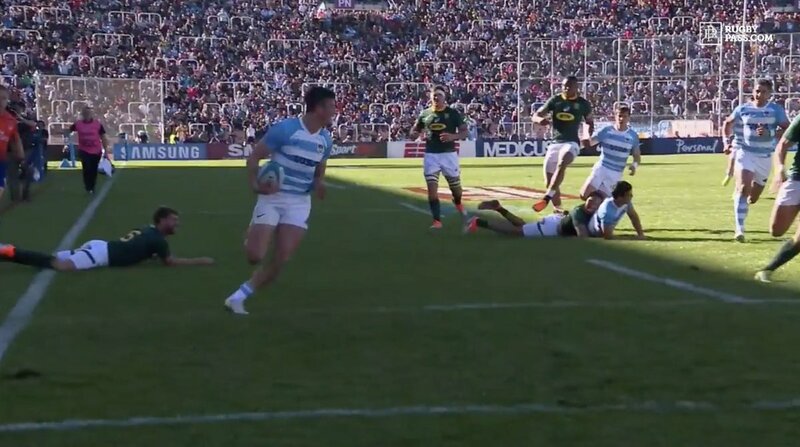 The Springboks are in Argentina to take on the Pumas, kickoff is just one hour away! The All Blacks and Wallabies meet at Eden Park tonight for their second Bledisloe Cup hit-out.